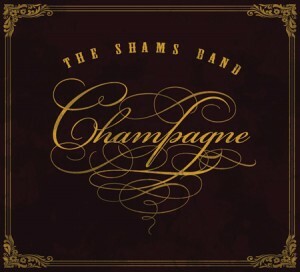 The Shams Band is not trying to reinvent the wheel with their boisterous Americana blues rock. 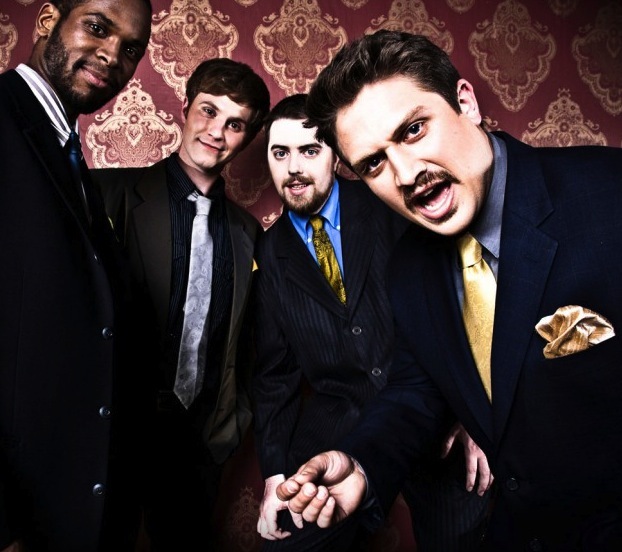 Like other contemporary bands reinterpreting classic American genres (see The Avett Brothers, Eli Paperboy Reed), The Shams Band creates something fresh using older sounds but with a youthful, modern twist. In their case, the twist is Americana with a wink… and a drink. 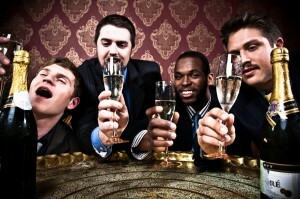 Their first full length album Champagne showcases winks, drinks, and the great energy of their live show. The whole record sounds fantastic with a nice balance of super-tight arrangements and genre-appropriate grit and swing. The album’s strongest songs, however, are the ones that play against the classic genres, chord changes, and riffs The Shams employ. For example, on “Gently,” Paul Gulyas’ dynamic vocals stretch the familiarity (and delightful predictability) of the doo-wop style, making it youthful, fresh, and engaging. Not to mention a couple nasty guitar solos – those help too. This talent of effective genre-play shows itself first in a self-awareness of the genre’s rules, and secondly in finding compelling ways to break those rules without losing the overall vintage allusion and familiarity. You can hear that crucial second step best on other stand out tracks, “City Swept Away” and “Blue Canal” – an older Shams Band favorite of mine that I am very happy to see on the record. 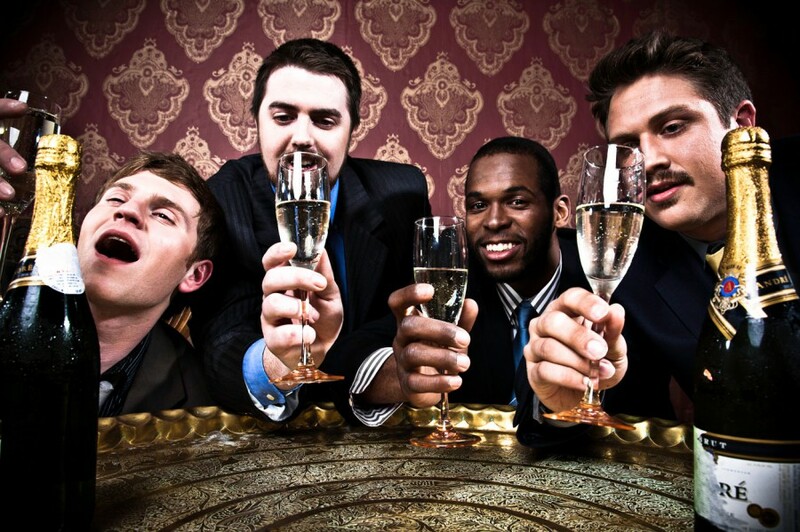 Ultimately, Champagne is a very satisfying follow up to The Shams’ impressive self-titled EP. The record captures the best elements of their live show, sure to please new fans as well as those who have been coming out weekend after weekend for the last year. Champagne will be officially released on Saturday, September 18 at a huge freaking party @ the legendary FitzGerald’s Nightclub!